JJA Home Improvement is a Southern MD licensed home improvement contractor and builder of new home additions and renovations operating in the St Marys County, Calvert County and Charles County MD areas. Whether you are improving, remodeling, renovating or building a new home addition, you can count on JJA Home Improvement to deliver increased property value energy savings and a more comfortable home. Our new home additions and renovations installation crews work full time for us and work on the project until it is completed in these areas of MD: Calvert County, Charles County, St Marys County, Prince Georges County, Prince Frederick, Lusby, St Leonard, Solomons, Huntingtown, Dunkirk, Owings, Waldorf, La Plata, Hughesville, Chesapeake Beach, Sunderland, Charlotte Hall, Mechanicsville, California, Hollywood, Lexington Park, Great Mills, Leonardtown, Clinton, Fort Washington, Accokeek, Temple Hills, Camp Springs and Brandywine. 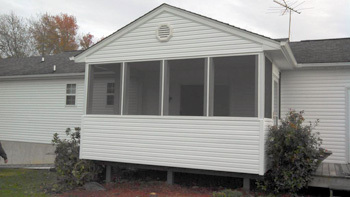 To schedule a FREE in home addition estimate, click here.